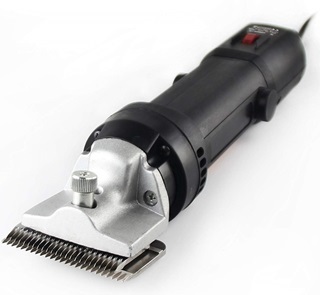 Best Horse Clippers in the Business This Year: Make the Right Choice Now! 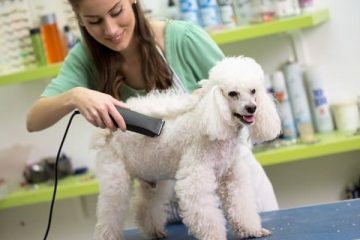 Most of us pride ourselves when clipping our cats, dogs, and pigs… right? But what about clipping our horses? Do we know how to go about clipping our ponies? Do we even know which are the best horse clippers out there? If the answers to these questions are a resounding “No” for you guys, welcome! This is the perfect place for horse owners to get some brain food. In this article, you’ll be able to find a list of devices that make the job a breeze for the newbies and pros alike. Feel free to choose one with your eyes closed. If you’re not feeling like it, no problem. The buying guide in the middle will help you get on your own two feet and go on product research. Choose your own tool for the job. The last half of my article deals with the process itself. You’ll be able to learn the basics of horse clipping in a short, concise, and intriguing manner. I’m not leaving you on your own devices until you learn the art itself. Good luck! Below, you’ll find my own list of products that cater to horses. I’ve come up with the following list after analyzing the build quality, longevity, and overall performance graphs of several units. Let’s have a look. if your pony is in the mood to be sassy but can’t, you, my friend definitely need something like Andis Super 2-speed Blade Clipper. One thing that took my attention without a hint of doubt is the sleekness of this clipper. Honestly, just have a look at it. It looks nothing like those typical bulky horse clippers. Elegant yet powerful. That’s the name of the game. Another good thing that is going in favor of Andis AGC2 is how quiet and cool it is. In my personal experience, it never got the point when it was too hot to use. The noise was fairly less audible too while I was using it. These are the qualities that are always present among the best horse body clippers. The attention to details is what makes something good even better. It doesn’t matter if you are a professional or not, Andis AGC2 will make sure your pony gets a professional treatment. And the price of this clipper just makes it completely worth it. The two-speed rotary motor makes things even more professional. This one is, without a doubt, the strongest clipper in its class and price. If you are someone (like me) who prefers clean and easy experience with products like this, well, you are in for a treat. The detachable blade design (which I just adore) makes changing and cleaning super easy. What’s the point of buying something if you can’t even get to operate it without any hassle, right? It comes with an UltraEdge size 10 blade. And it works just great. Think of it as the icing on the cake. This is also helpful for getting those precise cuts (again, attention to detail). Do you hate short cords? Yeah, everyone does. It doesn’t matter if it’s the phone charger’s or a horse body clipper’s cord, people hate short cord. And why wouldn’t they? It is such a pain if you have to reach for the plug every now and then. Luckily for us, AGC2 comes with a 14’ long duty cord. This is great for working around the whole pony without having to reach or change the power plug. Oh yeah, I forgot to tell you that this pony clipper is its housing. It comes with a shatterproof housing for rough usages. This thing is super quiet and cool. You don’t need to worry about it being too hot for the job. For those of you who prefer to use it corded, this thing has a 14’ cord that is advantageous to many. The size 10 UltraEdge blade of this thing takes care of most types of coats of different breeds. The detachable blade system allows for quick and easy cleaning experience of the horse clipper. Rotary motor is the perfect addition that makes the clipping and trimming job fast and easy. You need to make sure your pony took a bath and dried to get the best performance out of the clipper. If you are not aiming to buy something which is heavy duty and of the medium-build quality, then Wahl #9482-700 is the one you should shoot for. This one was by choice designed for people who want to get the feel of professional clipping action without getting a pricy and bulky horse clipper. It is great for clipping the area around the ears, face, and bridle path of your beloved horse. It can even handle light body clipping if you are into that. The adjustable taper level is something you’ll definitely love. And once you use it to its full potential, you’ll never go back to a clipper without this feature. It can help you adjust three different blade sizes of 30, 15 and 10. A whopping 7200 strokes per minute helps you get clean and easy cut. This also ensures even cut throughout the body. Before people speak up against this single-speed motor, it is more than enough speed you need to get through those pesky thick bridle path. I know what you are thinking. You are worried about the noise, aren’t you? Well, despite having all those powers, it is still fairly quiet. So, if you are worried about your scaredy-cat pony being alarmed by the clipper noise, don’t be. Oh! Before I forget, one thing that I’d like to thank Wahl for is the grooming brush. They have been kind enough to include a grooming brush with soft bristles (which they really didn’t need to. Especially considering the price point). With this, you can easily remove sweat, dirt, mud, and hair. The tool itself is very ergonomic for human use as well. It fits perfectly in the palms of your hand. The clipper is pretty compact and easy to grip as well. It is of 6.5 X 2 X 1.5 (H X W X D) dimension. Needless to say, it fits most of the hand sizes. So, yeah, handling is not an issue whatsoever. 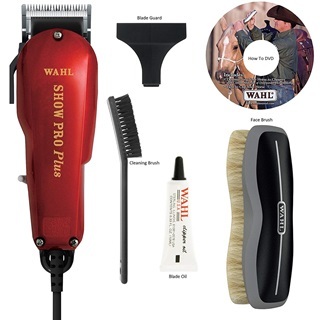 Wahl #9482-700 comes with a bunch of complementary accessories. The Kit box includes a blade cleaning brush, blade oil, blade guard, and as mentioned earlier a grooming brush. It also comes with an instruction manual DVD. This is a perfect gift for your friend who’s just getting into horse clipping. This trimmer is well equipped deal with sweat and dirt in addition to the usual furry coats of horses. You’ll not find it problematic to grip and use because of the helpful ergonomic build. Super powerful motor with 7200 strokes per minute makes everything easier than you think. There’s an adjustable taper involved in the design. It makes Wahl compatible with three blade sizes. The noise factor is nonexistent in this model. Your horse won’t startle even after hours of clipping. People might take issue with the motor being a single-speed one rather than of various speed. Although the previous version of Clipmaster was already great, the improvements made from the previous version just made Oster Clipmaster new version even better. Oster has been known for taking customer feedback very seriously and they did it again. 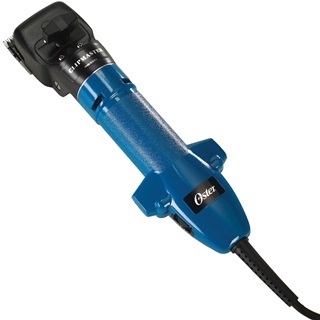 This is precisely the reason why Oster Professional produces some of the best horse clippers available in the market. Professional horse clippers just love Clipmaster and after using it first-hand I love it too. I, with my full confidence, can recommend this to my friends and family as I firmly believe this is definitely among the top clippers for body clipping you can find now (as of writing this post). The new housing is even more durable than the previous version. It is also shatterproof now. The reduce in (30% lighter) weight makes it, even more, user-friendly. You can easily maneuver this thing around without having to put much effort. You know what that means? It means less pain in your arm and wrist. I don’t know about you, but arm gets hammered every time I shave my sweet little pony. So, this for me at least was nothing short of a blessing. Next up in Oster Clipmaster’s feature bag is the adjustable speed. This enables a whole new slew of variable blade stroke options. From 700 to 3000 strokes per minute. That’s all the adjustment you need for any kind of clipping task. Be the thick bridle or smooth body hair. Did you every drop the clipper because it got slippery in no time? Well, you are not alone. And with that thought in mind, this time they have and a textured color finish. This assures a more secure grip. Props to Oster for that. The detachable blade makes your life whole lot easy while cleaning the clipper after a dirty session of body clipping. It comes with pretty standard essentials. The box includes 83AU top blade, 84AU bottom blade, grease, toolbox tray with removable storage tray, cleaning brush, and of course the machine itself. This horse body clipper is something that both pros and casual users can enjoy. I highly recommend this product. New and improved housing definitely pays dividend. It’s more durable and waterproof. The textured grip system allows users to handle this tool if and when it gets wet with sweat. This little clipper features a motor which can regulate speeds from 700 to 3000 SPM. Oster clippers come with removable blades. These blades make it easy for users to clean the tool. The fact that this design is 30% lighter than before means anyone can handle this machine without getting tired. The screw underneath the blade can get loose after repeated blade changing. If you hold the clipper near the blade, it can get hot pretty quickly in about 15 minutes’ time. In its defense, it cools down quickly as well. When you’re in search of a classy kit to take care of your horse’s coat, look no further than Andis AGR+ clipper. I say classy kit because this thing comes with a sturdy case that prevents accidental damages. Inside, the trainers will find a charging stand, a blade lubricant, and the machine itself. Makers at Andis know that we’ll use it to groom our horses. Horse clippers need to be bigger than dog clippers. That Andis AGR+ is. It features a well-contoured design. The design lets users grip the machine easily. Also, the material is break-resistant. Meaning, it won’t crack open even if it takes a fall. The charging stand is what caught my eye. It gives you a detailed status of the clipper. For example, people will have an idea about how much charge is left in the battery. The charging stand does what It’s required for. That is, charging the unit. So, how good is the battery? As it turns out, very good. You get one hour of uninterrupted runtime when it’s fully juiced up. Expect it to get charged in an hour too. 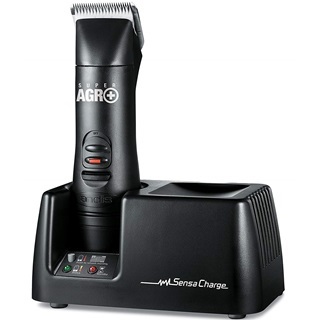 Although it’s cordless, Andis Super AGR+ is compatible with Andis cord pack that people can buy separately. Flexibility at its best. I loved the fact that makers at Andis gave a “Standby” option on the charging dock if people decide to take a break while grooming their horses. The blades you see in this kit are super sharp. They can go through your pony’s coat like knives through butter. These blades are detachable as well. It gives the users an option to lubricate and clean the blades when needed. If you don’t know, these are Size 10 blades. People can swap them with 7FC blades as well. To be more exact, these blades are interchangeable with CeramicEdge, UltraEdge, ShowEdge blades. They work exceedingly well with Oster A5 blades as well. I’m pretty sure Andis will take care of your horse’s coat in a professional manner. That’s not the news. The news is that this thing can take care of thick dog coats as well as horse furs. 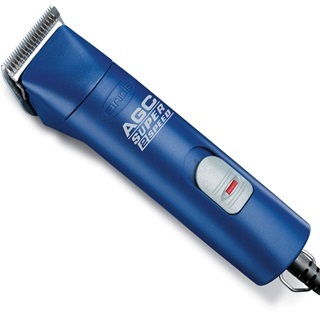 This Andis clipper is a heavy-duty machine with break resistant build that protects the motor. Andis is compatible with several types of blades that come from different types of clippers. The blades are adjustable and work well with lubricators. The charging dock allows users to gauge the status of the battery. It comes with a battery pack as well. Customer care is fascinating for Andis as always. I got a quick fix for my “Cleaning” issue. Swapping or changing the blades can be quite a task. Sometimes blades may break as well. If you liked Oster Clipmaster, you’ll love the Golden A5 (078005-140-002) as well. This one comes with a chew-proof housing as well. Yes, your wild stallion can chew the machine down to rubble if you’re not being careful. Fortunately, Oster is even if you are not. Even if it breaks, you have a year of warranty. Those looking for a combination of precision and power will love the two-speed rotary motor. No, It’s not magnetic in any way. You’ll have a clean rotary action that facilitates quick clipping of horse furs. Back to the two-speed settings then. This motor can work with 2100 SPM and 2700 SPM with the flick of a switch. 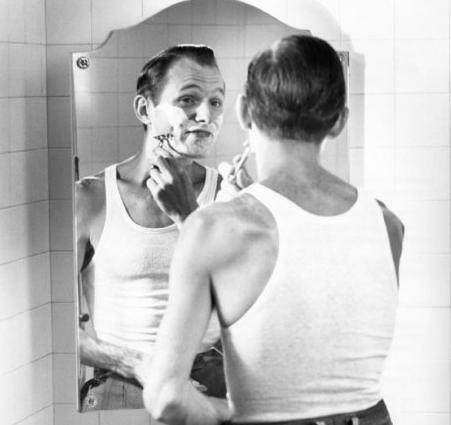 Switch to a lower setting when you’re shaving around the face and along the throat-line. Switch to the faster setting when you’re looking to go through the back and the tail. Don’t forget the blades. These blades belong to the category of size 10. Meaning, they can cut through anything. On top of that, these are cryogenically treated. The Cryogenic process makes them hard and tough to get chipped or break. The body of this wonder clipper is made using the same treatment. Once one of these blades gets damaged, people need to change it. These blades are wide. The wideness makes it easy for the blade to be taken out when needed. One can push a new blade in just as easily. To make sure these things last longer, lubricate them before and after shaving the horse furs. The Golden A5 is one clipper that’s fit for corded use. Don’t think for a second that this one will sell you out when it comes to flexibility. The 12-inch long cord gives people enough leash to play with when it comes to shaving their medium-sized horses and ponies. Go wild with it. Another area where flexibility comes into play is the fact that this clipper is lightweight in nature. Golden A5 Clipper weighs only 1.97lbs. It’s light on the hands and wrists of any and all users. Yes, it’s a professional-grade item. Meaning, it gives you superlative performance when it comes to hair clipping and trimming. But seeing all the attachments and the machine itself, I can imagine that it’s meant for the beginners. CryogenX blades are perfect fits for the bodies of your horses and their thick coat patterns. These blades last long and cut quickly if someone lubricates them properly before and after use. You get the guide combs that help people shaping their horses’ coats to their liking. Lightweight clipper with an ergonomic design makes it easy for people to grip and handle it. Two-Speed motor is perfect for a speedy clipping and delicate touches as well. These guide combs I mentioned earlier need to be bought separately. The clipper only works with 110 – 120V connection and not 240V. The last item (but definitely not the least) on my list of horse clippers is JEMPET portable electric grooming clipper. This one is actually bit different than the rest. While every other product on the list was more or less exclusive for the horse only, this one works on almost all furry pets. Sure, you could work your way around to use a horse clipper on other animals, but this one is actually built for different pets in mind. So, you don’t need to find a workaround. With this, you can easily trim large horses, dogs, pigs, cattle, and everything that has fur on its body. It is basically one clipper to trim them all. Enough chitchat, let’s talk about the features and their benefits. With great power comes great responsibility. And with 380W power, this thing can go up to a speed of 2500 rpm. Typically, a single cylinder motorbike has an rpm of 1200 -1500. I hope you can guess how powerful this machine is. The motor inside is made of copper. Copper is less prone to heat i.e. it has high heat-resistance. This also ensures less vibration, resulting in a pleasing clipping session for your pet. The ventilation system also helps a great deal when it comes to heat dissipation. There are 6-speed control gears for different speed variations. Gear 1-3 is for slower blade speed. This is the optimal speed range for new users. On the other hand, gear 4-6 is for a high-speed blade. This is for more skilled users. If you are not a pro at clipping, I’d highly recommend you to stick within gear 1-3. The overall design of this horse clipper is very ergonomic. Especially the handle. 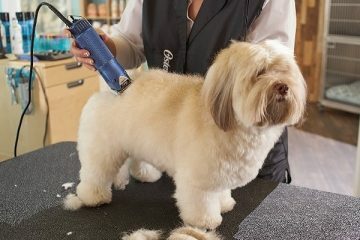 The nylon polymer body ensures you have a decent grip and there’s less vibration while cutting the hair of your pet. This in return gives you steady hands. The rotatable button and adjustable blade tension make clipping a joy. It almost feels like you are going through a rhythmic flow and it is very SATISFYING. One can use this clipper on dogs, cats, pigs as well as on his/her beloved horses. The motor of this beast can offer you a speed of 2500 rpm. This is more than a single-cylinder bike. Not only that, people can cycle through as many as six different speed levels with this machine. If you didn’t notice, this model has a nylon-polymer body. It allows for better heat dissipation. The ergonomic design of the tool will surely interest many of you. It fits with most hand sizes. 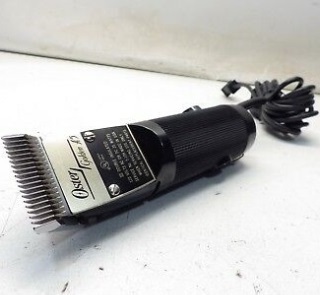 Although this clipper has six gears, beginners should stick to the first three. This clipper can be a bit heavy on your hand if not handled correctly. It can be a bit noisy for people looking for a quiet clipper. How to Choose a Proper Horse Clipper? The answer to the question is a tough one if you’re not well acquainted with these tools. Depending on the breed of horses you take care of and their coat types, the ideal clipper varies to a wide degree. Let’s take a look at factors that determine the ideal device for shaving furs. No matter which product you buy, it’s always handy to look at the building blocks of the unit. In other words, that product needs to be sturdy and resistant to damages. It helps a great deal as you’re clipping a horse and not a dog. Horses are bigger and move around with more power than the dogs. When looking for a sturdy unit, go for ones with Nylon-Polymer construction or for the clippers made of hard plastic. These are lightweight and easy to move around the body of your Pony. One good thing about these units is the fact that they are not heavy on your hands and the wrists. As a result, people can continue hours long sessions without taking too many breaks in between. Not all clippers are the same. Large part of the difference is caused by what types of the motor makers use to make them. People get to use trimmers with Rotary, Pivot, and Magnetic motor types. Each of these motors has different principles of supplying the power. Rotary motors are very much common. They work with the help of an electric component and a rotating disc. With electricity, the disc rotates and supplies power to the blades. Most motors come with multiple speed levels that people can regulate with a switch or a regulator. You’ll find devices operating with a pivoting magnetic mode. Pivoting motors come with only one hand and a magnet. Due to the magnetic field in place, you have the hands and the blades moving. Periodically, a spring brings the hand back into place. People risk tugging of the furs and stretching of the skins in the process while using these motors. If you’re looking for a quiet model, go for permanent magnet motors. These motors work based on a magnetic field and a direct drive shaft. The magnetic field regulates the blades back and forth. These motors can be used for small touch-up jobs as well as for heavy duty hair clipping. These things don’t vibrate that often. You won’t find any gearing system installed here as well. Contrary to what most people understand, there are two blades in a clipper. The lower blade is referred as the “Comb.” The upper blade is referred as the blade. The comb grabs the hairs and the upper blade cuts them effectively. Choosing blades for the unit is easier than making a decision about the best horse clippers themselves and the motors they come with. You just need to figure out how long or short you want your pony’s furs to be. For example, to ensure your horse has a fine haired coat, choose size 40 blades. If you want to leave half an inch of hair on the coat, choose the blades accordingly. You’ll need to have the number 3-3/4 blades by your side. For users who reside in a cold region, I recommend to keep long furs on your horses’ coats. It’ll protect them against the strong breeze. Use clippers with a size 10 blades for these occasions. While we’re on the topic of how long the horse hair should be, it’s helpful to judge which climate your horse belongs to and which breed is it. Gap between the two blades is also important. Choose blades that have wide gap between them. It’ll be easy for the users to feed hair between them. To a layman, it might seem that machines with higher watt count are the best. However, it’s not so simple. Going with wattage can be misleading if you don’t do the basics right. To make it clear to the layman, let’s go with a quote from the head of Sales and Marketing of Wahl Mr. Ken Duncan. It’s a good idea to get a hang of different speed levels and how fast your clipper can operate. SPM or Speed Per Minute is a good place to start for newbies. SPM count refers to the motor speed when the blades aren’t attached. Different models measure stroke counts differently. Some of the companies measure strokes when the blades move left. Others measure strokes when the blades move left and then return to the starting places. Go with the machine that has a higher stroke count. Machines with greater stroke counts have blades that cut faster. But higher SPM doesn’t mean you can use it for a heavy-duty work. The tools need to have the ability to retain the torque. Torque refers to the ability to retain the speed for a long time. Be careful with a higher SPM machine. The motor heats up quicker than you expect. People often hear whirring sounds due to the rapid blade movement. When you have a shortlist of these products, make sure to collect them and do test drives. You’ll be able to get an idea about how much noise the unit makes, the SPM count, and the blade efficiency. The test run will also tell you how long or short you want your horse’s hairs to be. If you’re dilly-dallying in between corded and cordless units, a test drive will always help. Check the cord length when running corded units. For cordless units, check the runtime. Any device that has over an hour of runtime is phenomenal. While you’re at it, check how long it takes for the device to get charged. This will determine the fact whether you need an extra battery pack to keep clipping running or a small break between two sessions will do just fine. How to Clip Your Beloved Horse(s)? Using the horse clippers for body clipping is easy compared to choosing them. You just need to follow some basic steps to get started and then adapt to your horse’s needs. Let’s learn the basic things as we go along. I’ll also offer you my tips as well. It’s important to begin the clipping process on the right note. Prepare the machine first before going into battle. I’ll advise people to measure the charge level first. Take the blades out and clean hair strands (if there are any). You’ll do well to lubricate them for an enhanced result. Start by clipping hairs in a part of the horse’s body where it doesn’t tickle the adorable animal. It shouldn’t startle him or cause pain to him. Before you go to the “Sensitive” areas, make sure to turn the clipper on and leave it on for a minute or two. Begin clipping by moving the clipper against the hair growth line. Continue to clip until you remove a big patch of hair. Keep clipping in straight lines if you can. 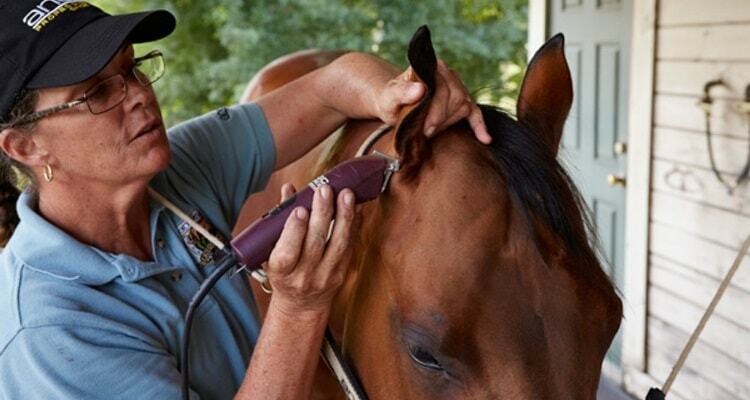 While clipping, don’t let the corners of your clipper come in close contact of your Pony’s body. It might poke him and cause pain. My advice is to carve out long stripes. Make them narrow to make sure the results are great. You’ll do well to overlap each stripe to even them out. Keep a close eye on the angles of the hairs. Clip from different angles to make sure they’re even and don’t stick out. Be extra careful when clipping the mane and tail. Wrap the clipper around these areas to keep it even. Moving the clipper to a side will do just fine. Don’t trim long hairs of the tail. In my experience, calling a friend to grab both sides of the tail while you clip is the best practice. Don’t get excited and immediately clip the face. In fact, save the face for later. By doing this, you’re doing the horse a favor and not raising his anxiety level. Remember to switch to a smaller clipping tool for the job as well. If there are hairs left in specific parts of your horse’s body, trim them to level with a pair of cutting shears. They’re helpful when trimming long hairs around the legs. The last thing to do here is to blanket your horse after the job. Trimming or clipping leaves your Pony with fewer furs and they might find it hard to adjust to sudden temperature change. Tropical areas often require a thin blanket. Colder regions require a thick blanket to cover it all. Pro Tips: Make sure your horse gets a feel of the vibration of the clipper beforehand so that the anxiety level remains low. Also, take small breaks if the clippers you chose get too hot for the job. Don’t burn your horses in the process of shaving them. What Do I Have to Say at the End? Choosing the best horse clippers and using them can be tricky things to handle. I get that. That’s why I went into the topic and took a detailed approach. When it comes to the ideal machine, few can beat the competition between Wahl and Oster products. Andis is closing the gap but it’s a bit slow in the process. When it comes to the actual process, patience is the key. No matter if you’re a pro at clipping or one who’s just starting it out, it never hurts to observe someone else at the job. You can also go through the process with an experienced user beside you. Whenever you falter, the seasoned person will be there to correct your mistakes. There’s nothing better than practical knowledge. But you can start it all by going through this article of mine. This little piece (pun intended) will give you a clear indication of which direction to take when buying one of these units as well.